The easiest way to manage your events on the go! 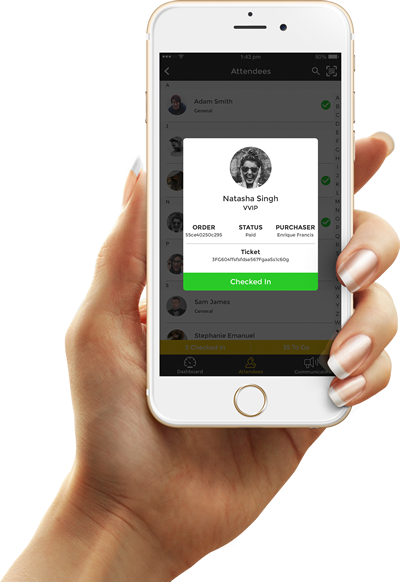 Check in attendees, view event stats and send instant push notifications to your attendees before and during your event. *This app is for Organizers ONLY. 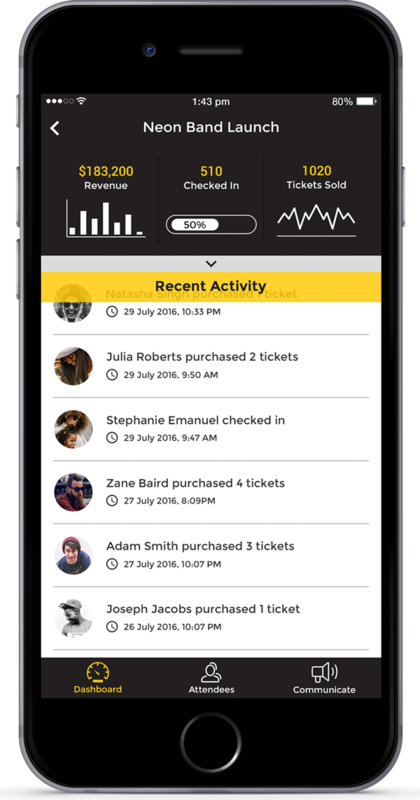 Always be in the know with a live feed of your event's activity as it happens, everything from ticket sales to shares, all from your mobile device. View key event metrics with ease. Monitor your revenue, tickets sales over time, ticket sales by ticket type, attendees check ins over time and more. A searchable list of your event's attendees allows you to find them fast. View detailed data on each attendee including order information and check in status. Reach attendee in your mobile community instantly via push notifications. Send important event updates or even discount codes from within the app. Use the integrated QR code scanner to quickly scan tickets and check attendees into your event. FraudGuard is built-in to prevent duplicate ticket entry. Use the app on multiple devices to speed up the check in process at your event. All data is synced in real-time with other devices connected through the internet. Download the Event Manager App for FREE!